Sweet Sixteenth week of pregnancy, that is! Your baby is currently 4.6” and weighs around 3.53 ounces, that is the size of a magic eight ball. 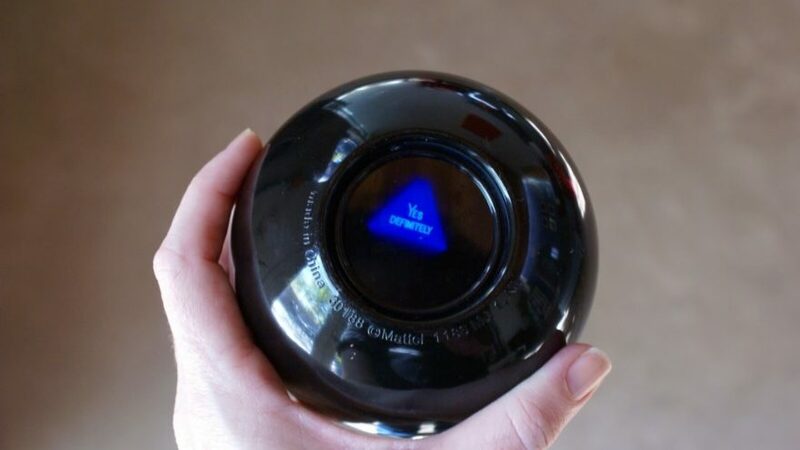 “Will I make it through the rest of this pregnancy?” (Shakes magic eight ball) All signs point to yes! You go, girl! You only have 168 days left in your pregnancy journey! The toenails are starting to grow! Go ahead and mark your calendar now for future pedicure dates! The umbilical cord is completely developed. Grab your ugg boots because we’re getting super basic with this week’s pregnancy superfood. We’re talking Pumpkin seeds, which are actually not that basic at all. They are composed of tons of vitamins that are beneficial to you during your pregnancy. They are full of vitamin B, which will make you feel less fatigued. They also contain folate and will help prevent birth defects. One cup of pumpkin seeds will fulfill your required daily intake of iron, which is very important because iron is linked to the growth of your baby. Combine all the ingredients in one large mixing bowl. Next stir them together. Roll them into balls about the size of an inch. Set them on parchment paper, put them in the fridge for minutes and voilà. You’re done, wasn’t that easy! You’re practically the next Martha Stewart. The Almond Butter or Peanut Butter is not required. However, if you’re not a big fan of the way honey tastes, we recommend using almond butter or peanut butter. This will not only reduce the sweetness but will also load these balls up with even more protein. This quick snack is perfect for an on the go breakfast. At your next appointment, your doctor will begin to measure your fundal height. This is basically the size of your baby bump. Your doctor will measure the distance from your pubic bone to the top of your belly. The fundal height allows them to make sure the baby is growing properly. Typically your fundal height will be your pregnancy week plus or minus two. The measurement is also taken in centimeters. This week your measurement should be between 14-18 centimeters. Remember how we advised you to go with the flow for the pregnancy announcement? Well, we’re doing the same thing with the baby shower. Allow her to “girl” out with her best friend and plan out the baby shower of her dreams. You can make suggestions but at the end of the day let her be in control. You probably created a whole baby shower Pinterest board the moment you found out you were pregnant. Now it’s time to actually start planning it. Don’t try to do everything yourself. It is perfectly okay for you to lean on your support system. Your partner, family, and friends would love to help. Pregnancy Glow: By now you know all about the increase in blood flow in your body during pregnancy. Take that and combine it with the increase of the hormone human chorionic gonadotropin and you got a recipe for the pregnancy glow. While this mixture makes some women look absolutely amazing it can cause acne and oily skin in others. Shortness of Breath: As your baby grows they begin to push on your lungs, thus making it hard to take deep full breaths. Try to stay calm, this is normal. The increase of progesterone is also making your body trick you into thinking you need to breathe more often and more deeply. Take it easy! 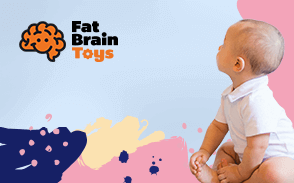 Pregnancy Brain: During your pregnancy, your brain changes to help you focus on your baby. You may find that you are forgetting things more often. Back Pain: The growth of your baby and the hormonal changes may cause some back pain. This symptom is extremely common and can be experienced at any point in your pregnancy. Vaginal Discharge: The amount of discharge you experience will continue to increase, which is great because it prevents infections. Do not use douches as they can cause irritations. Itchy Eyes: Another symptom caused by those raging hormones. Consult your doctor before applying any eye drops. Constipation: With your uterus pressing on your intestines constipation may occur more often. Keep those fiber filled super woods in your cabinets. Hemorrhoids: Constipation usually leads to hemorrhoids because you strain when having a hard bowel movement. Also, progesterone causes your veins to swell more easily because it relaxes the walls of the veins. Your uterus is now halfway between your navel and pubic bone. The ligaments that support your uterus are becoming thicker and are stretching. Pretty soon you’ll experience the quickening, which is your baby moving. Many moms claim the movements feel like flutters. Not all women feel these movements this early in their pregnancy. In fact, many women won’t feel any movements until around week 18 or so. If you don’t currently feel any movements be patient, it will happen. If you feel like you got more of the acne and oily skin than the pregnancy glow. Don’t worry, we got your back. Here are a few recipes for face masks that will provide you with the most beautiful glow. How to Prepare: In order to make this face mask, you will first need to mash your banana. Once mashed, mix it together with the honey and lemon juice. Apply the mixture to your face and neck. Let it sit until it dries. Once the mask has dried wash your face with warm water. How to Prepare: The potassium found in avocados will help keep your skin nourished and bring back that glow. Deseed the avocado and mash it up. Mix the avocado with the yogurt and a couple of drops of lemon juice. Apply the mask mixture on your face and let it sit for twenty minutes. When it is time to rinse it off, do so with cold water. How to Prepare: Combine all the ingredients together and spread it on to your face. The mask should sit for 15 minutes, and then rinse it off with cold water. The cucumber juice will reduce redness and puffiness while the watermelon removes blemishes. How to Prepare: Combine the yogurt with two drops of lemon juice. You may also substitute orange juice for lemon juice. Apply the mixture to your face and leave it on for fifteen minutes. Next, wash off the mask with lukewarm water and then splash some cold water on immediately. The splash of cold water will tighten your pores. The yogurt will give your skin a nice glow by removing dead skin, hydrating the dry areas of your skin, and tightening your pores. While it is common, back pain is extremely uncomfortable especially during pregnancy. As your baby begins to grow, your stomach begins to grow out and forward, thus making you want to constantly lean back. Leaning back will put a strain on your lower back muscles. Stand up straight and keep your shoulders back and relaxed. When you are sitting down, place a small pillow behind your lower back for support. Practicing good posture may ease your pain. At this point, you should avoid high heels and opt for shoes with good arch support. Sleep on your side with one or both knees bent. Many women find it comforting to sleep with a pregnancy pillow between their knees or behind their back. Stretching and low impact exercises may also help in reducing back pain. Swimming is highly beneficial because you are weightless in the water. Once in the pool, the pressure is taken off the spine. There are so many fun and creative ways to document your pregnancy. One of our favorites is having the mom to be stand next to a decorated chalkboard. The chalk board’s design will change each week, or however often you decide to take the picture, to reflect fun facts about your baby and pregnancy. You can include the number of weeks pregnant you are, your cravings, the size of your baby, etc. Have your partner take a picture and display them in a journal or around the house. You will have so much fun watching your bump grow. Decide on the key factors for your baby shower. Who is hosting, where the event will take place, pick a date, and set a budget are all decisions that can be made now. Enjoy some me time. Spend a day with yourself doing something you love. If you’re experiencing acne, try a cold compress.